VEDANTA today defended a transaction in which its subsidiary Cairn India Holdings bought shares in Anglo American owned by the firm’s executive chairman, Anil Agarwal, saying the deal was economically logical and met probity standards. Analysts were critical of the transaction last week saying the cash involved – some $200m – could have been used better elsewhere. Shares in Vedanta lost a fifth at one point as analysts also questioned whether the transaction met corporate governance standards. The shares were originally bought by Volcan Investments, an Agarwal family trust. Vedanta said in a statement that the structure for the transaction provided “… significantly higher returns compared to other overseas cash management investments that would typically return around 2%. “After careful consideration of the risk adjusted returns of this opportunity relative to other available investments, it elected to invest a portion (which is less than 5% of group’s cash and cash equivalent of around $5bn) of its available cash resources, as part of its cash management activity,” it added. 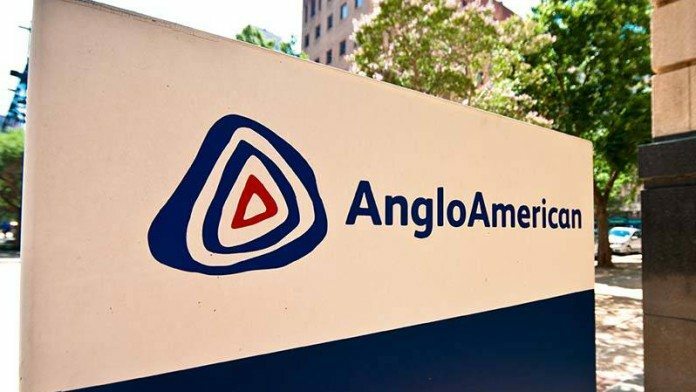 The ownership of the underlying shares, totalling 24.71 million shares equal to a 21% stake in Anglo American, and the associated voting interest, remained with Volcan, it said. “The investment now has full capital and downside protection to ensure that the interests of Vedanta Limited shareholders’ are protected,” it said. Vedanta added that the investment was made “… on an arm’s length basis in December 2018, after meeting all governance requirements. An independent valuer assessed the deal and both Vedanta and Cairn India Holdings boards approved it. “This was voluntarily and transparently disclosed in the December quarter results,” it said. Srinivasan Venkatakrishnan, CEO of Vedanta, said last week that the downside in buying Anglo shares remained limited notwithstanding a 17% improvement in Anglo since January. Agarwal paid almost £800m to buy out the minority shareholders in his London-listed vehicle, as part of a plan to simplify the structure of his sprawling business empire. While analysts doubted this presaged a Vedanta bid for Anglo, Agarwal’s recent corporate manouevres must be seen in the context of his liking for Anglo. He last year praised Anglo American for remaining committed to southern African mining where Vedanta has base metal interests in Zambia and South Africa. In 2017, Agarwal said he thought joining Anglo’s African zinc assets with Vedanta was a good idea. I hereby refer readers to seekingalpha.com for my thorough going analysis of Vedanta 9MFY19 results. Readers will thus have uncensored views of the Goldspeculator. In the interest of all, I have copied this response for readers benefit. Lets hope the editor does not censor it for reasons only beknown to him. PAYING FOR 20% ANGLO STAKE…..WITH OTHER’S MONEY! Mr Agarwal Snr ( Major shareholder of Vedanta) is a wise individual , and extremely enterprising. He can chew gum and talk at the same time! So when everybody was all doomy and gloomy about Anglo’s prospects, he moved in on the shares and accumulated a 20% ….. without expending large amounts of cash and without causing a run-up in its share price! He did this by working in concert with bankers at JPMorgan (London) using exchangeable bonds by exploiting the pervasive short selling , at the time, by hedge funds of Anglo Shares. This structure is called Poems (Purchase of equity via mandatory securities) and mainly used by corporate raiders to takeover a listed company. The issuer (JP Morgan on behalf of Volcan) is fully protected if the Anglo shares decline, although they have to give up the upside (increase in Anglo Shares) in return to the buyers (Hedge Funds). Clearly, this arrangement’s objective is taking over Anglo by Mr Agarwal, rather than some “investment in Anglo shares” via Volcan. The trouble with this structure is that at expiry, you actually need to pony up the money, in full, to the facilitator to get ownership of the shares. The only comfort being that the purchased stock has increased substantially in value. Therefore, the buying party ( Volcan) is paying for the stock that is already in the money! However, there is a wrinkle in this astute transaction that was executed by JP Morgan and Mr Agarwal. A big wrinkle of ±$3Bn! Mr Agarwal had put up his shares in Vedanta, via Volcan , as security for the transaction …the shares which he CANNOT sell! But the scheme has matured and payment , including coupons ( 4% of $3Bn) which JP Morgan had paid as part of the exchangeable bonds to hedge funds, IS DUE. 20% Anglo Stake (Value = ±$20Bn) PURCHASED for (± $3bn) via Poems USING Vedanta shares (± $4Bn) as security, via Volcan, which Mr Agarwal CANNOT sell to avoid triggering change of control clauses on Vedanta’s Debt ( ±$12Bn) ….AND he DOES NOT have readily available liquid cash to pay JP Morgan! It will require some tricky corporate foot work…because he does NOT yet have ownership to the Anglo shares to sell to payoff JP Morgan! So to keep JP Morgan at bay….He needs to workout an arrangement with them , which ostensibly , will require some hefty figures given that they would have been >$4Bn in the good. So, given his control of Vedanta, he is using its money ($500M for now) to pay JP Morgan to continue cooperating with him until such time that they can settle the scheme and he walks away with 20% of Anglo. Vedanta shareholders are bailing-out Mr Agarwal …..and management struggled to explain this away …. BECAUSE IT’S A DIFFICULT THING TO EXPLAIN! Thank you for reading and comments are always welcomed ! Hi Goldspeculator – Comments are edited when they are judged to have fallen foul of Miningmx editorial regulations e.g. hate speech. How come this standard is never applied to racists who spew their hatred towards me on this forum? Do you share their prejudice and hate ? Hi – Hate seems a bit strong, but maybe that’s your experience of it, so let that be as it may. To address your question: I try to be alert to when readers are playing the ball, and when they are playing the woman/man.